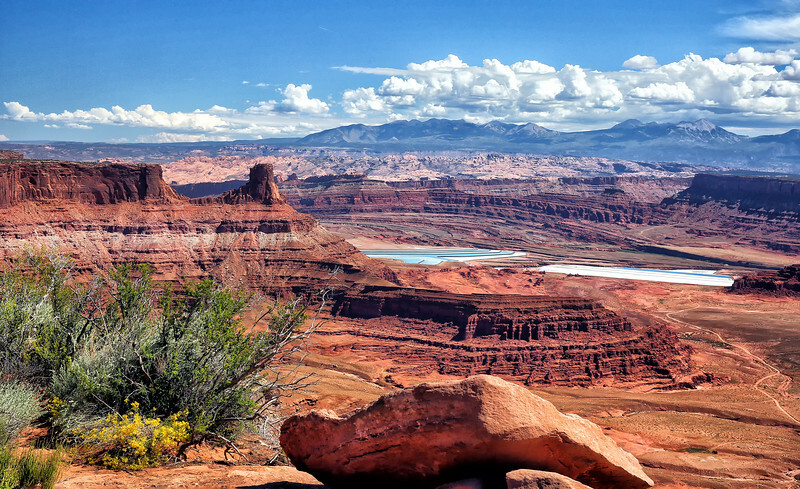 These can be seen from Dead Horse Point near Moab. The areas in various shades of blue are man-made potash evaporation ponds. The blue color is due from the added accelerate to speed up the process.